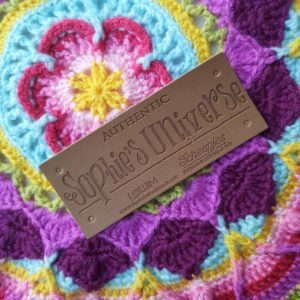 Sophie’s Universe is more than just a blanket. It is a journey of discovery and confidence-building. 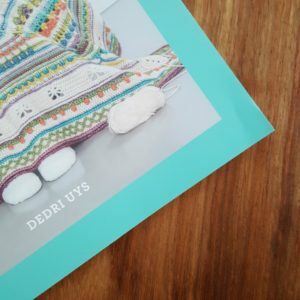 Written specifically for beginners, it contains step-by-step photos and hints to help you master the art of crochet. 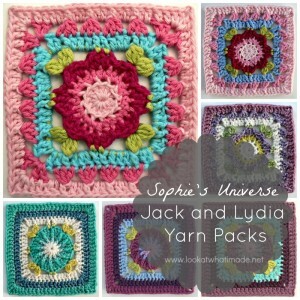 It brings me great joy to tell you that the Sophie’s Universe book is now available for sale. I cannot tell you how happy I was when I held the first copy of the Sophie’s Universe book in my hands. It is everything I had hoped it would be and more. 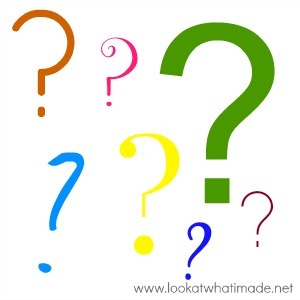 I cannot wait for the book to be launched next week! I am very excited to announce that Wool Warehouse now has a new yarn pack available for Sophie’s Universe: a Rainbow Colour Crafter pack. 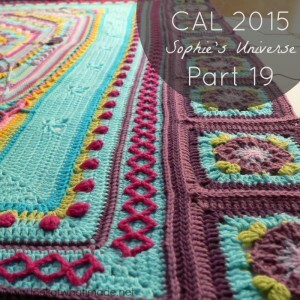 If you are worried about making Sophie’s Universe in a single colour, you needn’t be. Jenny’s single colour Sophie looks amazing! Deramores have put together colour packs for Jack and Lydia. 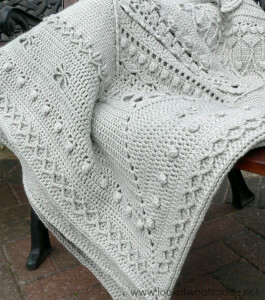 Each colour pack includes enough yarn for 18 squares and Betty’s Beautiful Border. And so all good things must come to an end. 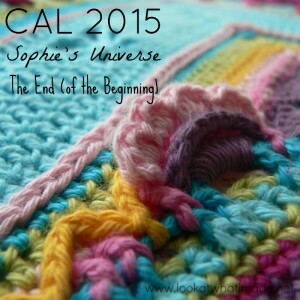 This is the last part of Sophie’s Universe. I hope you have enjoyed it. Thank you so much for participating! 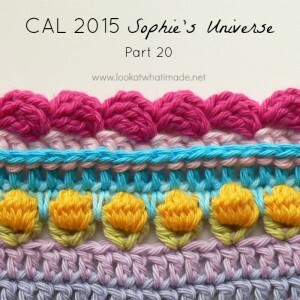 In Part 20 of Sophie’s Universe we will be looking at adding a border. I have also included a suggestion for “growing” Sophie into a larger square. 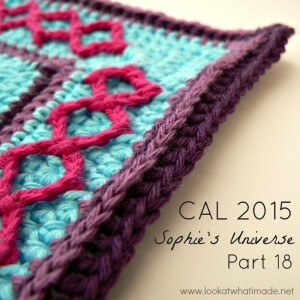 In Part 19 of Sophie’s Universe we will be looking at how to grow Sophie into a rectangle. In Part 18 of Sophie’s Universe we are completing the “Diamond Band” we started last week. Have fun!